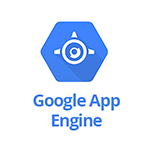 Use SignalFx to monitor Google App Engine via Google Cloud Platform. App Engine System: Overview of system level metrics for App Engine. App Engine Flex: Flex environment specfic metrics for Google App Engine. App Engine Memcache: Memcache environment specfic metrics for Google App Engine. CPU Utilization - Percentage of allocated CPU in use across an App Engine flexible environment version. Reserved CPU Cores - Total number of CPU cores allocated to an App Engine flexible environment version. Flex Disk Bytes Read - Number of bytes read from disk across an App Engine flexible environment version. Flex Disk Bytes Written - Number of bytes written from disk across an App Engine flexible environment version. Network Bytes Received - Number of incoming network bytes across all VMs in an App Engine flexible environment version. Network Bytes Sent - Number of outgoing network bytes across all VMs in an App Engine flexible environment version. HTTP Response Latency (ms) - HTTP response latency. HTTP Response Count by Code - HTTP response codes aggregated by response code. Cached vs Non-cached Responses - HTTP response counts aggregated by HTTP serve style. HTTP Denied From Over Quota - Number of requests that failed due to the app being over quota. Server DoS Interceptions - Number of interceptions performed to prevent DoS attacks. Memcache Operations by Command - Number of memcache key operations aggregatedby command. Memcache Received Bytes - Number of bytes received by app from the memcache API aggregated by version. Memcache Sent Bytes - Number of bytes sent by app from the memcache API aggregated by version. Memcache MCU Count - Memcache utilization in one hundredth of Memcache Compute Unit aggregated by command. Instance Count by State - Number of instances aggregated by state. System CPU Usage - CPU usage in megacycles aggregated by version_id. System Memory Usage - Memory usage of running instances aggregated by version_id. System Network Bytes In - Incoming network bandwidth aggregated by version_id. System Network Bytes Out - Outgoing network bandwidth aggregated by version_id. Total number of CPU cores allocated to an App Engine flexible environment version. The fraction of allocated CPU in use across an App Engine flexible environment version. Note that some machine types allow bursting above 1.0. Delta count of bytes read from disk across an App Engine flexible environment version. Delta count of bytes written from disk across an App Engine flexible environment version. Fraction of CPU utilization for all cores on a single App Engine flexible instance. Delta count of interceptions performed to prevent DoS attacks. Delta count of requests that failed due to the app being over quota. Delta counts on the HTTP serve style. Memcache utilization in one hundredth of Memcache Compute Unit grouped by command. Count of memcache key operations, grouped by command and status. Number of bytes received by app from the memcache API, grouped by status and memcache command. Number of bytes sent by app through the memcache API, grouped by memcache command. Number of instances that exist. Total memory used by running instances. Delta count of incoming network bandwidth. Delta count of outgoing network bandwidth.